Happy New Year – first image of the season. The Eastern Rosella always gets first go at the birdbath, then the noisy miners come and have fun. 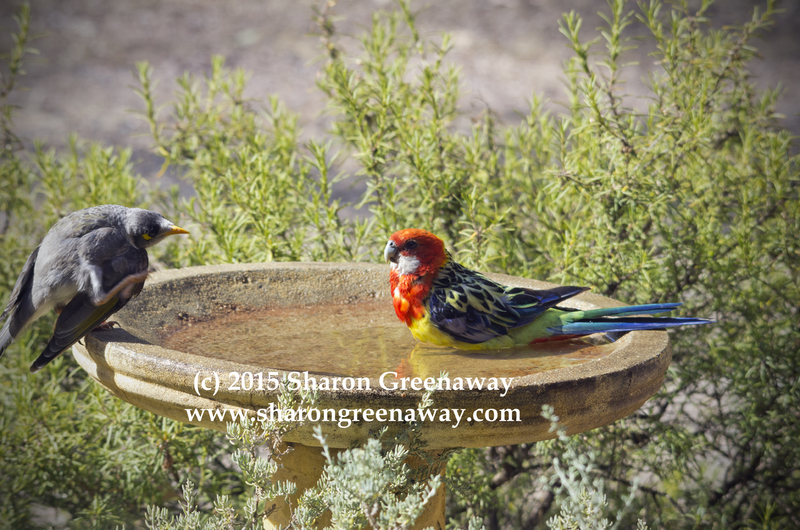 This entry was posted on January 1, 2015 by sharongreenaway in bendigo, summer, wildlife and tagged bath, bathtime, bird, birdbath, miners, new year, noisy, rosellas, summer.